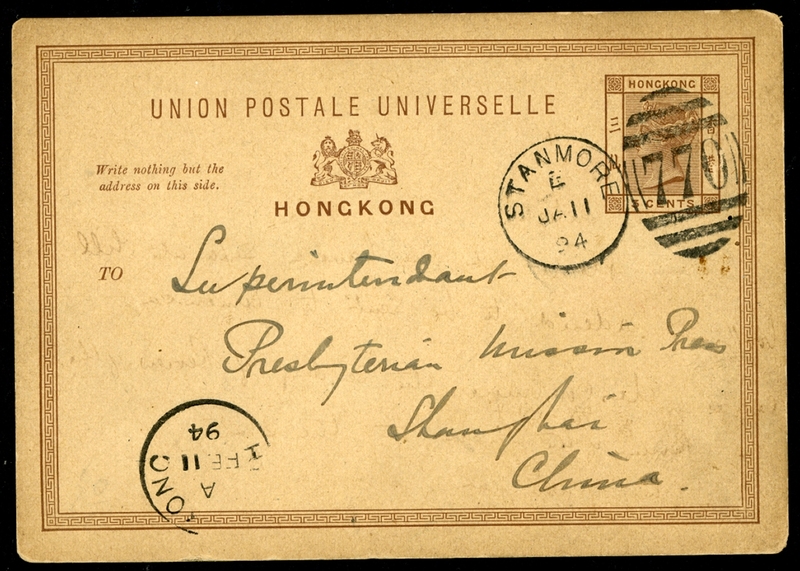 Hong Kong, 3cents brown, postal stationery card USED FROM ENGLAND to Shanghai, cancelled by "Stanmore JA 11 94 / 770" duplex, with "Hong Kong/A" transit c.d.s. 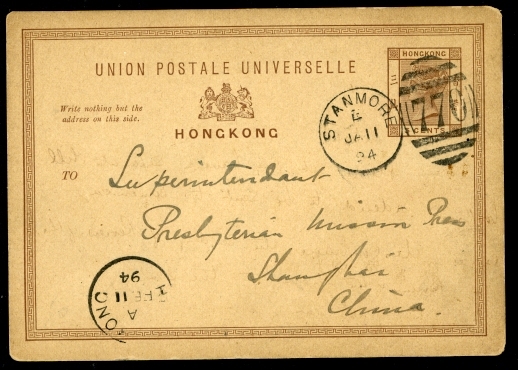 (11.2) adjacent, fine and highly unusual commercial usage of a Hong Kong postal stationery from a foreign country as a reply card. ONE OF ONLY VERY FEW KNOWN. 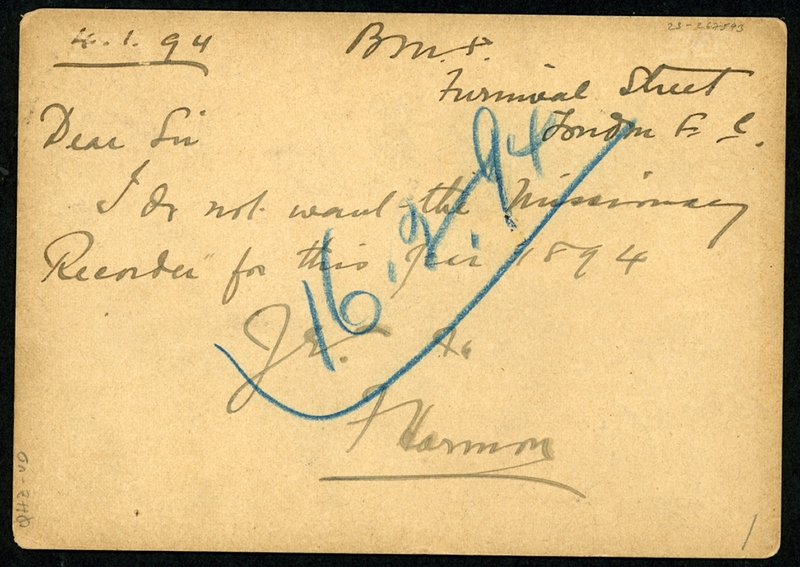 Yang P5.